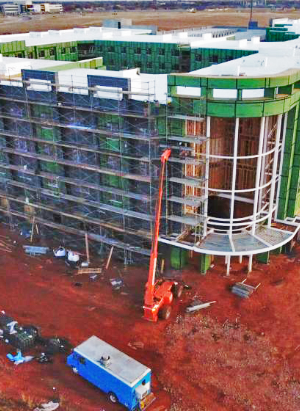 We’ve carefully positioned our company to excel with any size project. 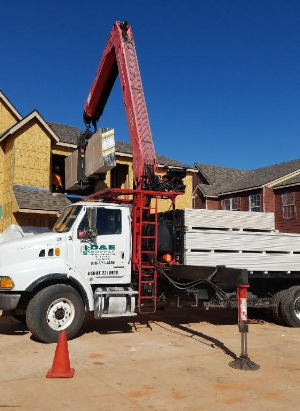 Whether you need 2,100 boards at your job site every day or just an occasional truck load, there’s no job we can’t handle. 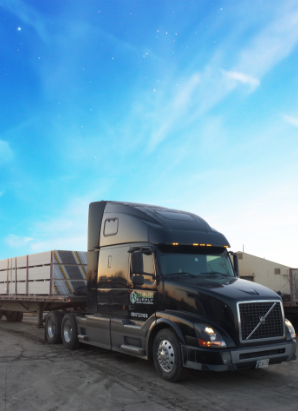 Through our two offices in Oklahoma, we can deliver to any job site on American soil. Our track record shows success after success when delivering to customers well beyond our offices’ zip codes. Our experience spans multiple industries. From residential, commercial, and multifamily housing. We have the capability to work directly with developers, contractors, subcontractors, and hangers. We pride ourselves on having an equipment fleet that’s second to none. No other company in town has two 6-story boom trucks, which makes deliveries safer, faster, and prevents damage to the product. By keeping a diesel mechanic on staff, we ensure our equipment will get the product there on time. We’re excited to announce a recent addition to each of our delivery trucks. Construction is set to start in early 2014 on The Metropolitan, a 330-unit, $45 million apartment complex that will be the largest single housing development announced yet for downtown Oklahoma City. 4401 S 93rd E Ave.